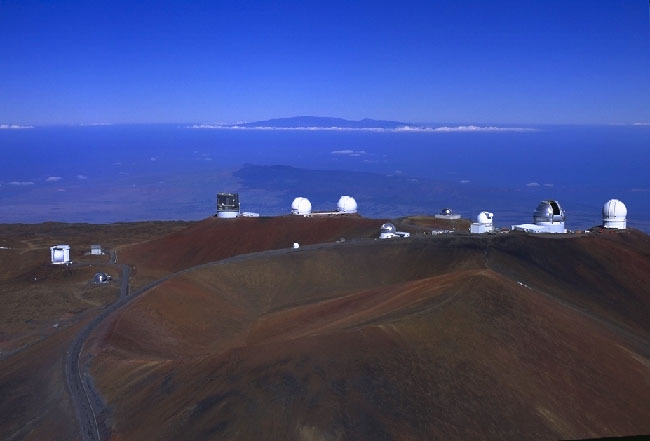 Opis: Last week, Japan's new Subaru Telescope made its first observations of the sky. The gray building housing Subaru is visible just left of the white Keck domes near the photo's center. Subaru is the latest in the class of optical telescopes using a mirror with a diameter greater than 8 meters. Subaru's 8.3-meter primary is the largest single-piece optical telescope mirror yet made, and is so thin that its precise shape can be monitored and adjusted. 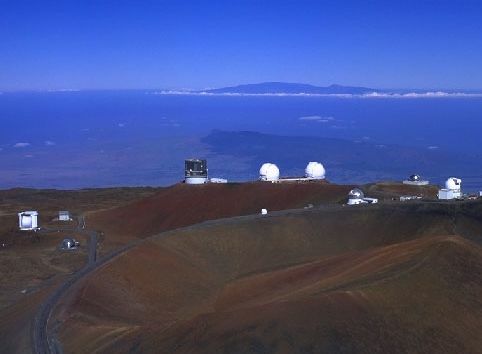 Subaru will be owned and operated by Japan but located at the top of Hawaii's Mauna Kea, a dormant volcano famous for housing several of the world's leading telescopes.